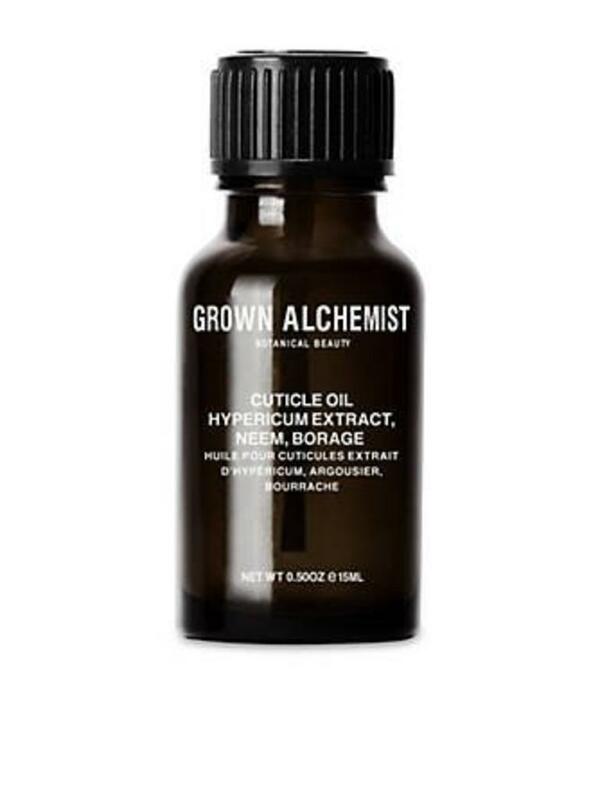 Flavonoids from Hypericum Extract condition cuticles restoring lipid structure, elasticity and hydration levels soothing and softening dry cuticles. Neem, rich in highly absorbent Fatty Acids, Vitamin E and Antioxidants protect cuticle skin from environmental damage while restoring cuticle skin elasticity and suppleness. Borage Extract Seed Oil high in Gamma-linolenic Acid (GLA) Fatty Acid - noticeably soothes and softens cuticles. Tocopherol - Anitoxidants noticeably smooth fine lines surrounding the cuticle area and increase hydration levels, strengthening the skin's barrier function and nails while protecting the epidermis from early stages of ultraviolet light damage. Oleic and Linoleic Fatty Acids from Argan stimulate the skin's ability to retain moisture increasing hydration levels leaving cuticle skin looking healthy, soft and supple.